Whatever you need for your Austin, we’ll be able to source it for you. In our stores we have a vast selection of new and used components at very competitive prices, and if we haven’t got it we’ll certainly be able to order it in for you. 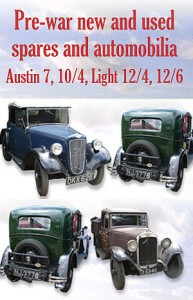 We supply new and used Austin spares and components. 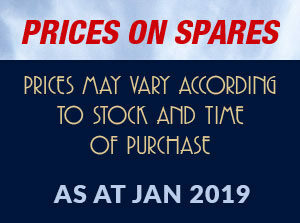 We stock items for many Austins including the Seven, 10/4, Light 12/4 and 12/6, and items we have include starters, dynamos, regulators, wiper motors, fuel pumps, brake and clutch linings, road springs, engine gaskets, pistons, valves, studs, trim, steering, suspension, wiring looms, tyres, exhausts and much more. PLEASE NOTE: We make every endeavour to keep our prices competitive and up to date. Prices may vary according to stock and time of purchase so if you need a definite price before ordering, please contact us. To view our latest stock lists, please select from the left menu.